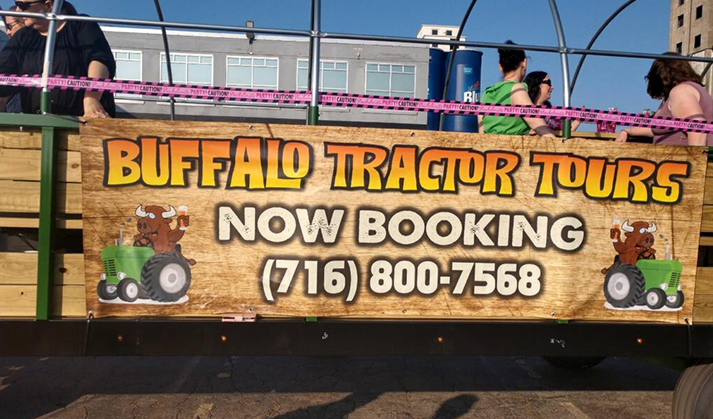 Buffalo Tractor Tours | Buffalo’s one and only party wagon. 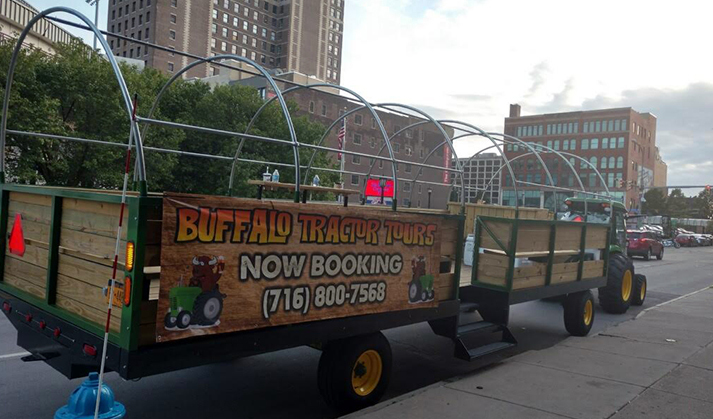 Buffalo’s one and only party wagon is a true country experience! 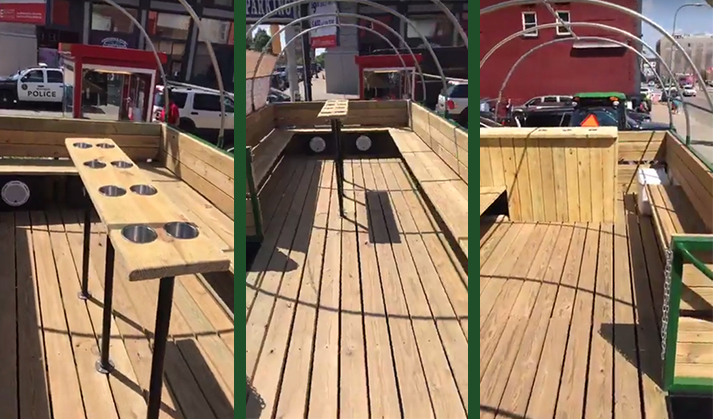 Come enjoy a 3-hour scenic tour where your only leg work is dancing. 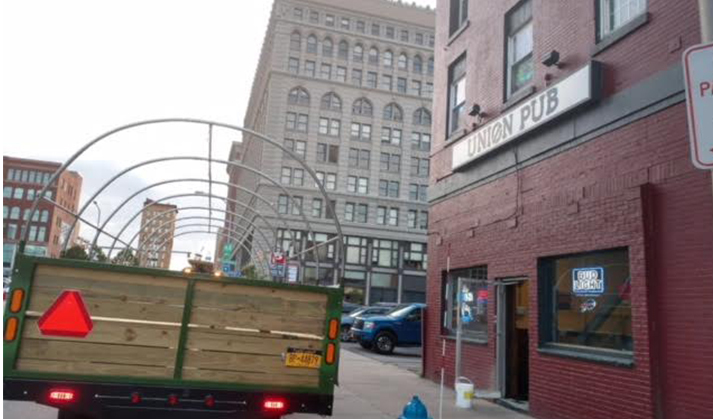 Travel through the beautiful city of Buffalo NY while stopping at your favorite watering holes all while being pulled by a john Deere tractor. We can accommodate groups up to 20 people. Please call 716-800-7568 to prebook and more information. Book a night out and visit the cities best Breweries, Bars and Distilleries!